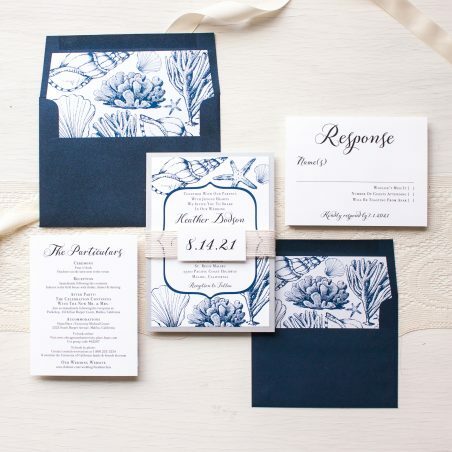 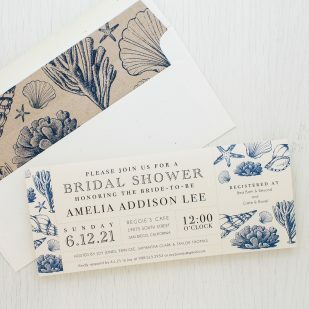 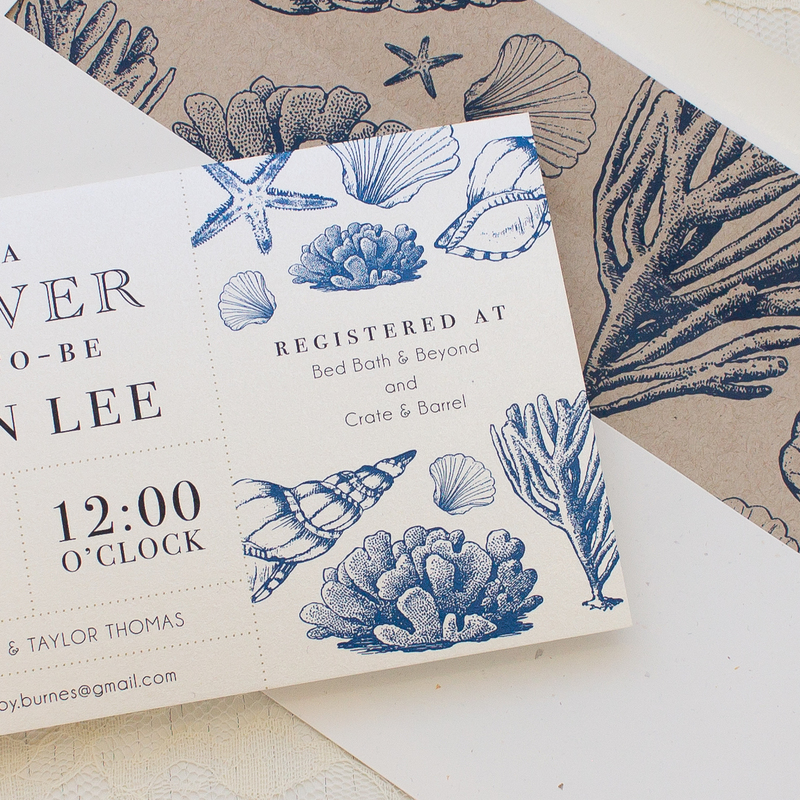 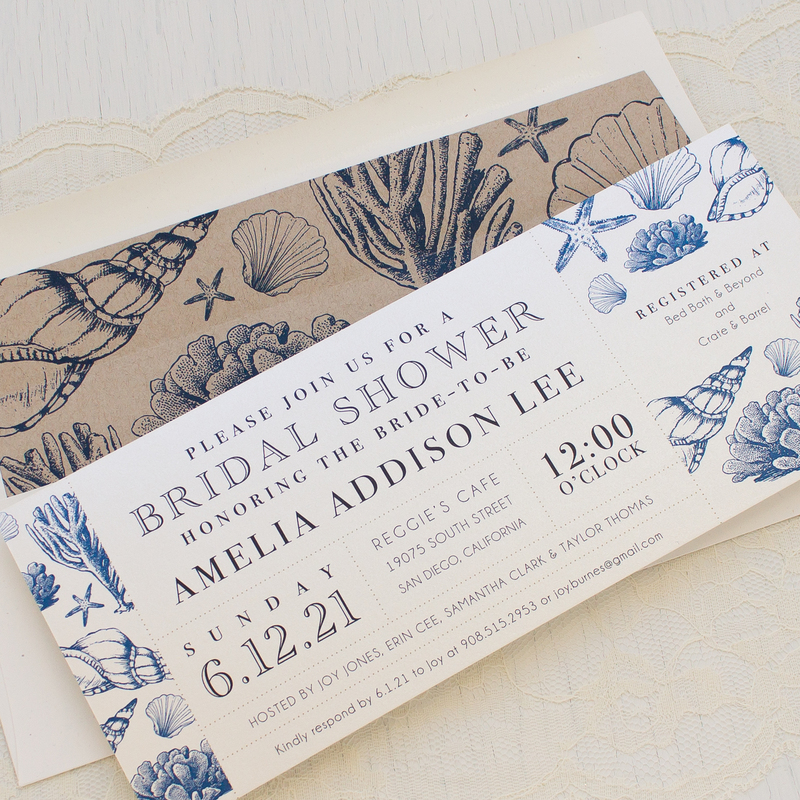 Delight your guests with our Beach Blues bridal shower invitations. 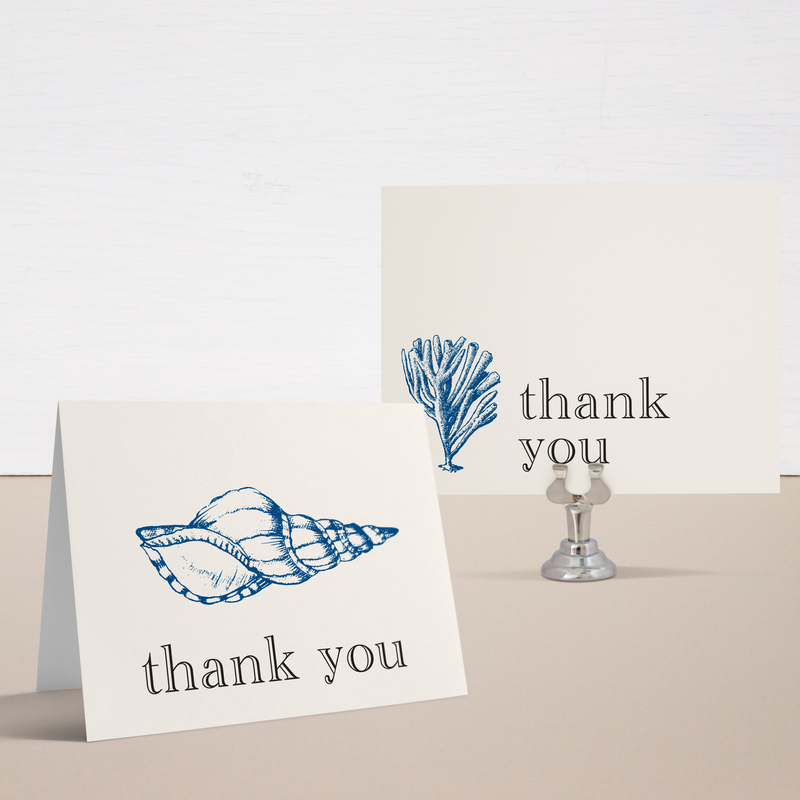 Featuring sea shell illustrations with simple fonts, they set the perfect tone for your tropical or nautical bridal shower brunch. 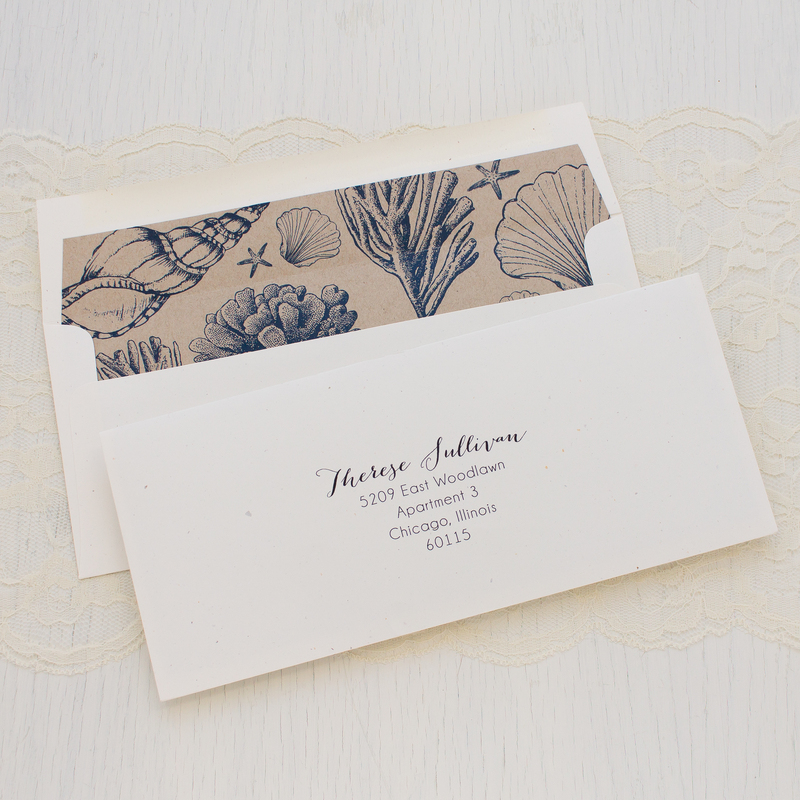 Welcome to our ordering page. 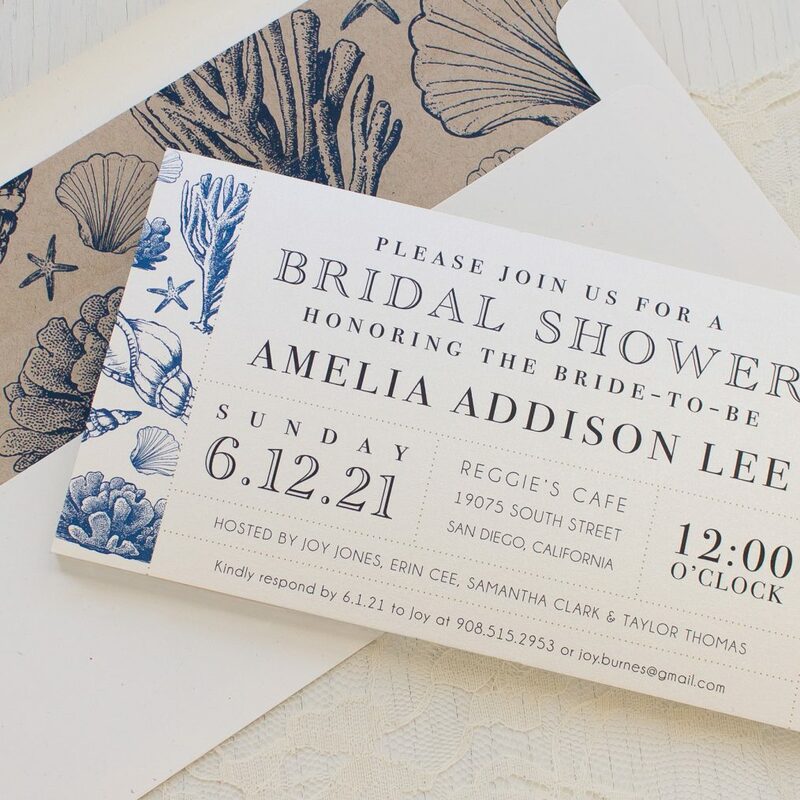 Below you can enter your wording, quantity & calculate your exact cost. 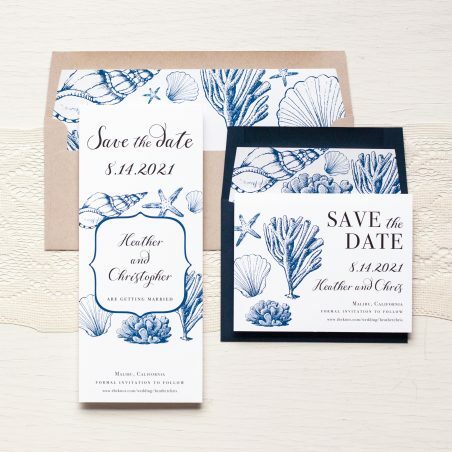 We recommend creating an account to save & edit your selections.